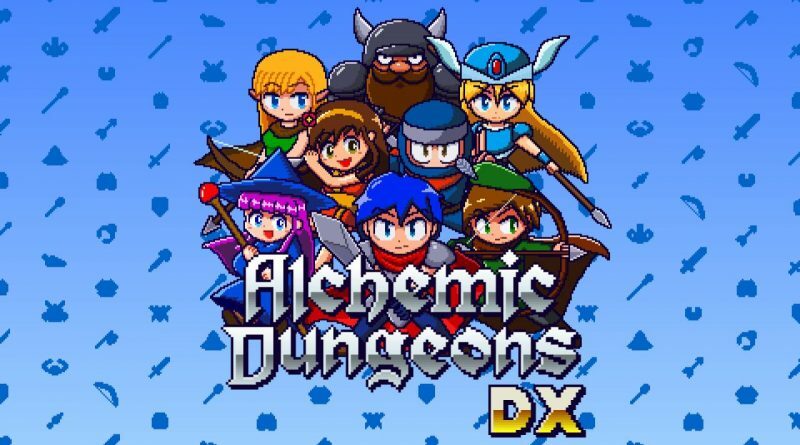 Flyhigh Works has announced that Alchemic Dungeons DX will launch for Nintendo Switch via the Nintendo eShop on February 14, 2017 priced at $7.99 / €7.99. Blending rogue-like mechanics with item crafting, Alchemic Dungeons DX is a game of endless variety. Alchemic Dungeons DX is an expanded and improved entry in the series. This deluxe version includes new characters, items and dungeons; even the background music has been enhanced. Dungeons are randomly generated and you progress with turn-based action. Every step you take will affect events, enemies and exploration. All of the action takes place within an awesome 8-bit aesthetic, with retro-style visuals and audio. With lots of characters and fresh areas to explore, get ready for the challenge in Alchemic Dungeons DX.